It is the duty of all staff members of the nursing facility to protect the dignity and respect of individuality of every resident to Ensure their highest well-being. Unfortunately, many Registered Nurses, Licensed Practical Nurses, and Certified Nursing Assistant fail to follow procedures and protocols of respecting the dignity of their patients. In many incidences, the resident lacks the ability to speak of their humiliation or take appropriate measures against their caregivers in fear retaliation. The elder abuse attorneys at Rosenfeld Injury Lawyers LLC represent disrespected patients who reside at Illinois nursing homes like Eastside Health and Rehabilitation Center. As a part of the Peterson Health Care System, Eastside Health and Rehabilitation Center provides round-the-clock skilled nursing care, Alzheimer’s care, memory care and the Peterson Pathways Rehabilitation Program. Comprehensive research results can be obtained through the federal government/Illinois Medicare.gov nursing home database that details every health violation, filed complaint, safety concern and opened investigation. Many families use this information to determine the level of medical, health and hygiene care nursing homes in their community provide their residents. The deficient practice was first noted in the investigator’s findings after the observation of two Certified Nursing Assistants performing incontinent care for a resident at 2:25 PM on 06/20/2016. “After a bowel movement was cleansed from the [the resident’s] buttocks, there were six areas of redness noted on the right buttocks and four areas of redness noted on the left buttocks” ranging in size from 1.0 centimeters by 1.0 centimeters up to 3.0 centimeters by 3.0 centimeters. 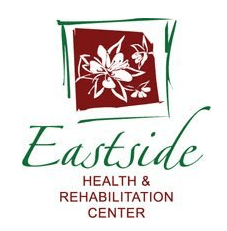 If you suspect your loved one is suffered harm through abuse, neglect or mistreatment while a patient at Eastside Health and Rehabilitation Center, call the Rosenfeld Injury Lawyers LLC law offices. Our team of Pittsfield attorneys has years of experience in successfully resolve financial claims for compensation against all parties who cause nursing home patients harm, injury or preventable death. We encourage you and your family to contact our Pike County elder abuse law office today by calling (888) 424-5757 to schedule your appointment for a full case review. You are not required to make any upfront payment or retainer to receive immediate legal services. Our legal fees are paid only after we have successfully resolved your case by negotiating an out of court settlement on your behalf or winning your case at trial.